For every novelist there is a background story, but in the English canon there is often a tantalizing link to house and home. 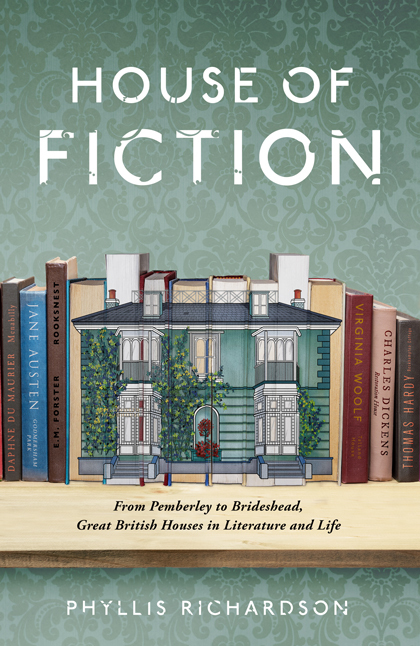 House of Fiction is a cultural exploration of British houses in fiction from Shandy Hall to Manderley. We asked Daniel Speight of Debut Art to work with us on this, to create an actual house printed onto the ends of a set of books. They were photographed and artworked into a shelf of books that show the famous authors and the houses that gave them inspiration.